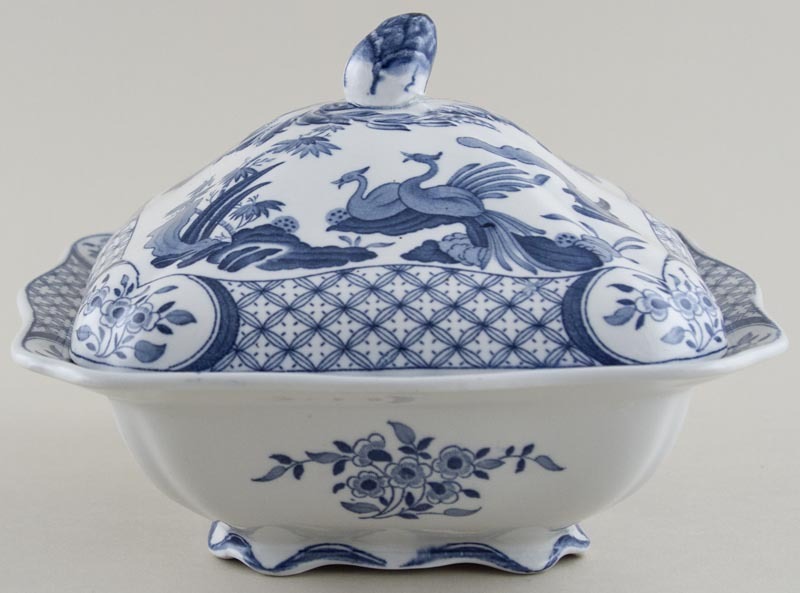 An attractive dish with pine cone finial to the cover and floral not bird detail around the base Backstamp: Old Chelsea Furnivals Limited Trade Mark England Rd No 647812. Inside the base the stilt marks are evident and there is a little minor wear under the rim of the cover, otherwise excellent condition. OVERSEAS SHIPPING OUTSIDE EUROPE Owing to the size of this item a supplement of � about US$52 will be added to the standard overseas shipping charge.